Initially, I had difficulty getting a “clean” weather fax with the Soft66-Lite + homemade tablet setup. There were a series of actions necessary to obtain a usable result. The graphic in figure one is the result of tweaking my equipment to maximize the chances for a clean weather fax reception. As can be observed, the fax starts out with medium quality (quite readable) – and then dips into nothingness. This scenario is caused by rapid QSB (fading) of radio signals due to ionospheric vagaries, where are completely out of the operator’s control. No hardware setting will ameleorate the effects of mother nature. So, I’ll not be able to retrieve every fax transmission. It’s the nature of the game. 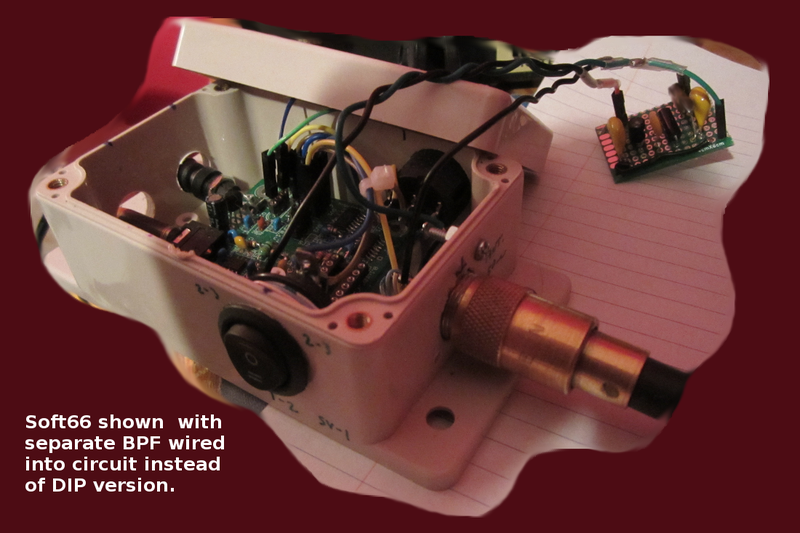 Figure 2: My little “sidecar” SDR is a Soft66 Lite in a minibox, and attached BPF (see text). The first faxes I received with this setup were from Point Reyes, California on 8.682 MHz. Those faxes were reasonably clean, but Cali is a long hop from North Carolina, and I wanted to receive New Orleans on 4.317 MHz, figuring for a more reliable path. The first fly in the ointment had to do with the frequency, which (apparently) was moved up to 4344 KHz without my approval! At least, that’s where it appears within the software display, offset from the frequency of the (supposedly) accurate 4.3 MHz crystal. Since the same setup and crystal accurately predicts the location of Boston at 4235 KHz, I believe the crystal is accurate. It is no matter, so long as I can find the station – I’ll call it good. Note that one must tune one’s radio slightly lower than the published frequency. USB is selected on the panel, as well as a 3.8 KHz bandwidth filter (if available). Quisk is configured by default to have a 3 KHz filter panel selection, and that seems to work just fine. Figure 3: Part of the improvement necessary to retrieive stronger weather fax signals, was the creation of some homemade ladder line. L2 = (((.318) * 50)) / (5300000 – 3300000)) = .0000079 Henries (7.9 uH). Similar equations are used to calculate the values of the other components. Note that I used an 8.2 uH inductor, because they don’t sell 7.9 uH inductors very many places. But, the tolerance on them is only ten percent anyway. Does that work? OK, the proof in the pudding is the taste. Switching between the bands I noticed that frequencies outside of 3.3 MHz – 5.3 MHz were severely attenuated. So it works. The Soft66 Lite board expects a BPF. Then again, it demands a BPF! If there’s nothing in the BPF DIP socket, then the “Ant” terminal will not connect to anything internally. 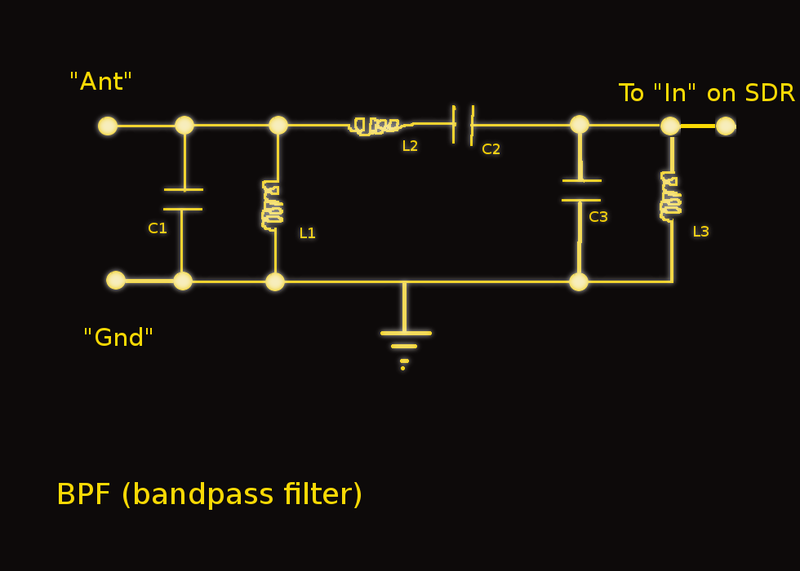 Since I had built “outboard” BPF filters, I had to connect those BPF filters (via switches) to the “In” terminal of the SDR board, which goes directly to the input of the RF amplifier. I suspect that some people who have had trouble with the Soft66 Lite may have thought that the BPF was optional. It ain’t. Without a BPF, nothing will be heard. OK, so we’ve created a BPF for the front end. 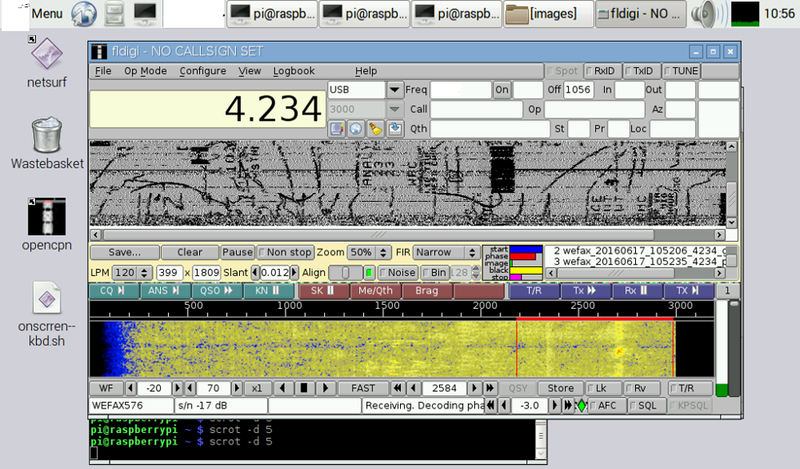 This helps with big station images and whatnot, but is not all of the filtering we need or that we get with the SDR. The most intense filtering is done in software! That’s part of the beauty of an SDR radio. The next thing I noticed is that I still had significant noise in my display, even with the BPF in place. The noise was not rejected by the BPF because it was not collected via the antenna, but instead directly injected into my little minibox by local sources. What local sources? My AMD/64 PC! Turning it off made weather fax reception possible. With the PC on, there was too much noise to receive anything. Maybe this is why radio boards are often put into shielded metal boxes? Ho hum. I guess I’ll have to add some power supply filtering to the board, but in the meantime, I’ll just use the SDR without any locally powered PCs running in the room. For some reason, my Pi2 powered tablet adds no significant noise. That’s lucky, because the SDR won’t work without the tablet! So, I’ve covered figure two pretty well. What about figure three? 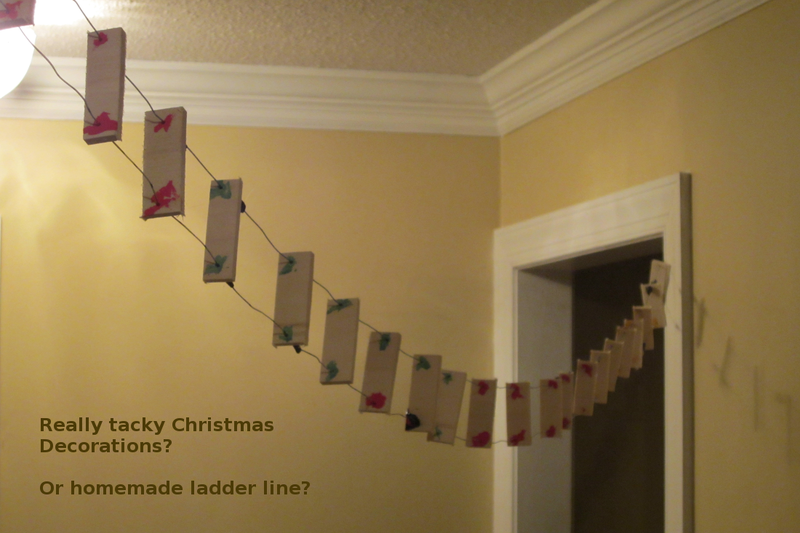 The ladder line looks a little goofy. It’s a temporary test setup, and carries no voltage (well, none outside of the micro voltage of the received signals), so I’m not worried about the way I’ve strung it across the room, and up to the attic where all the antennas have been placed. My first “weather fax” antenna was a loaded dipole. It didn’t perform very well, so I built a single loop antenna to be used on two different weather fax bands. It is a full wave loop on 8.6 MHz, and a half wave loop or random wire on 4.3 MHz. It is fed with the homemade ladder line (balanced line), which goes to an MJF 941D antenna tuner before it gets to the SDR.